Not sure I believe Mr. Shembeda. (Especially since this bus shelter is spitting distance from his office.) But let’s give him the benefit of the doubt. The supersized Happy Meal box is a simple idea executed flawlessly. Bravo! FOOTNOTE: I don’t have a list of creatives who did this out-of-home (OOH) execution. But I know one name that won’t be on the list but should be: JACK GOLDENBERG. 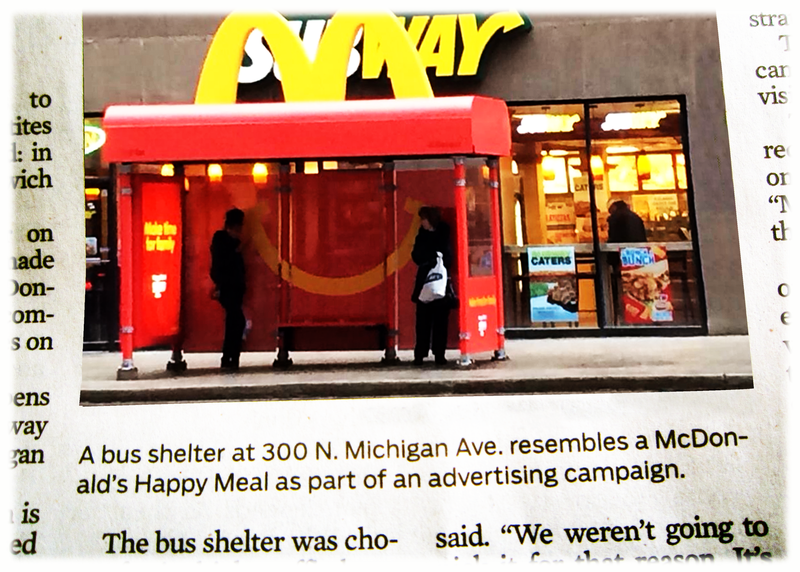 Long before YouTube popularized viral marketing, he launched the Happy Meal with word-of-mouth communication (WOM). This entry was posted in &vertising Partner and tagged McDonald's Happy Meal. Bookmark the permalink.